The cover was released by Andrei Goros, Mastering was done by Ervin Usein (both of them being members of Wooldozer band), and the project was coordinated by Robert Csongardi (Rock pe pâine). On this occasion, The Wax Road are launching their BANDCAMP page too with RAMBLER IN THE DARK to make it available for fans allover the world. 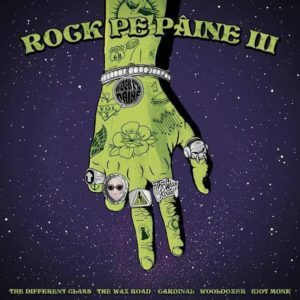 ROCK PE PÂINE III can downloaded for free on Bandcamp by clicking here. It will also be available on a limited number of physical CDs at the release concerts in Bucharest on march 2th in ”fabrica”, in Târgu Mureș on 3rd of march in ”Jazz&Blues club” or on march 4th, in Timișoara in ”Manufactura”. You can also order the CD by Mailing us here. Rock pe Pâine is an independent project founded in 2013 that supports Romanian rock music, especially – psychedelic rock, indie, stoner and post-rock.